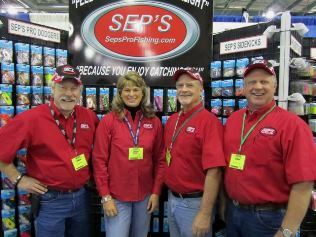 SEP'S Pro Fishing - Leaders in Ultra Light Trolling ! Leaders in ULTRA-LIGHT TROLLING for Trout, Kokanee and landlocked King Salmon, SEP offers tips to make your next trolling trip more productive and exciting. 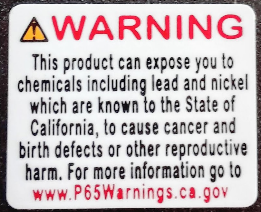 SEP'S entire product line is intended for light line trolling use. 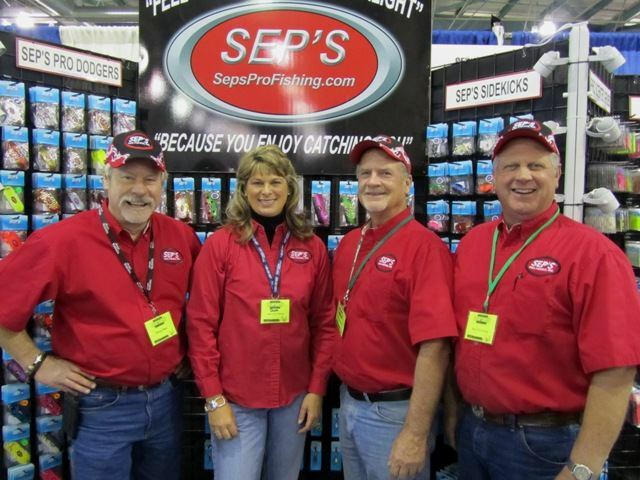 The SEP'S line of Ultra-light trolling products were developed by trolling expert Joe "SEP" Hendrickson and his wife Marilyn until 2008 when Leo and Dana Van Sistine purchased the business and took over the production and further development of the SEP'S Pro Fishing line of ultra light trolling tackle. 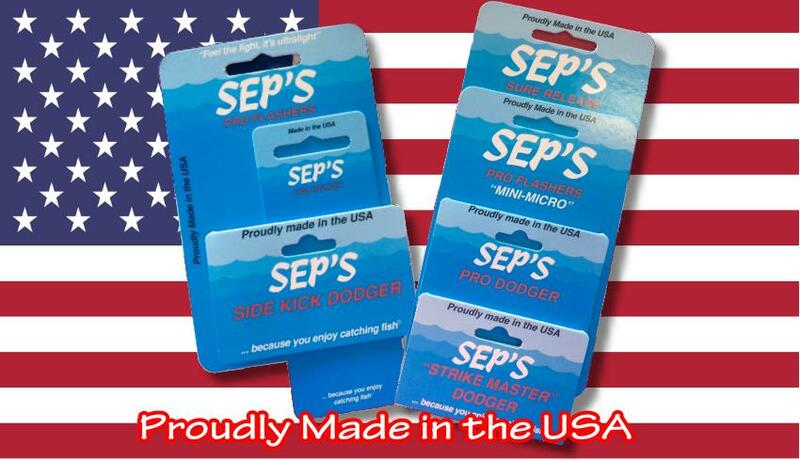 Shop for SEP'S products on our secure on-line shopping cart. Find everything from SEP'S SideKick Dodgers, Pro Dodgers 1/0, 2/0, 3/0, & 4/0, Scented Grubs, Trolling Flies, SidePlaners, to Downrigger Releases and the new STRIKE MASTER DODGERS. SEP'S Pro Fishing tackle in the new Bass Pro store in Tacoma, Washington, with Pro Staff Senior Guide Dale Daneman, of Dale's Foothill Fishing Guide Service, attending the Grand Opening. 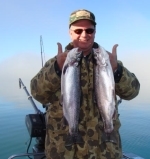 See what Cal Kellogg of the "FishSniffer" has to say about the STRIKE MASTER!